Ahead of the new season starting next month, Lotus on Track Racing Drivers Club have announced that the Lotus Cup Europe has gained FIA International Series status. 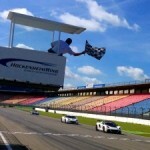 Lotus Cup Europe will be run as a championship for the first time in 2013, when the season starts at Germany’s Nürburgring circuit in April. Sporting and technical regulations have been approved by the FIA to give Lotus Cup Europe the status of FIA International Series, joining a list that includes GP2 and DTM. 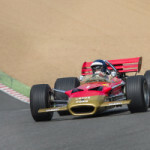 The championship will include five official points scoring rounds while drivers are also expected to join their UK counterparts at Spa for the Lotus Cup UK one hour race in July. 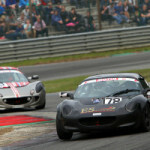 The title will be contested between Lotus Cup Europe’s five classes, with the new Exige V6 Cup joining the Evora in the V6 Cup Class. 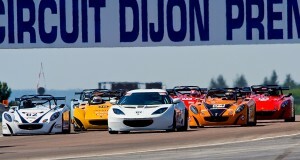 The other classes remain as Exige Cup for four cylinder supercharged models, 2-Eleven, Production for normally-aspirated Elise and Exiges and Open for other models and modified vehicles. The championship will also visit France, Belgium and the UK, where it joins LoTRDC’s Lotus Cup UK and Elise Trophy at the annual Lotus Festival. To ensure technical parity, Lotus Racing will continue to undertake technical scrutineering of the cars and will be joined by series partner Torque Developments International at the opening round in Germany where all cars will be power tested. 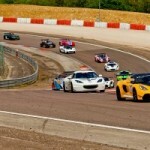 This entry was posted in LoTRDC and tagged 2013, FIA, LoTRDC, Lotus Cup Europe. Bookmark the permalink.